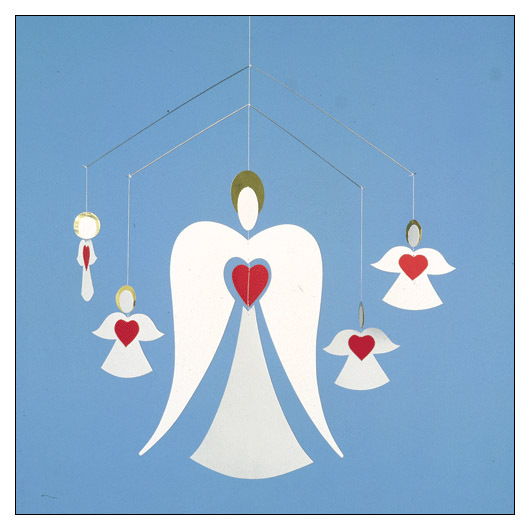 Angel Family Mobile (msfmangelfamily) at Pure Design / Accessories / Flensted Mobiles ::: Furniture for the Home, Office, Home Office, and More at Pure Design Online! A beautiful addition to any holiday setting. This angel family is made of white cardboard printed with bright red and gold leaf. Give it as a gift or scoop one up for yourself. Happy angel family.